TAC15 & TAC10 are discrete proprietary price-value points at which an acquirer might consider Deep Yellow. PMCV15 & PMCV10 are proprietary price-value point models that are supplementary to Projected Book Value per Share. If there are broad discrepancies between PMCV Variants & Projected Book, it typically signals erroneous bankable data or miscalculations on the part of FCM. 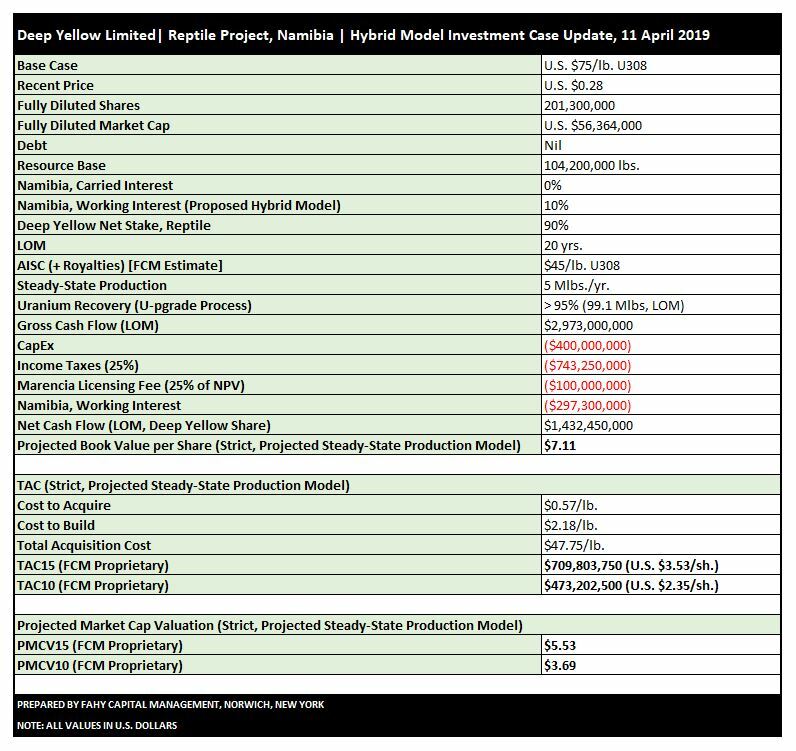 In the case of Deep Yellow, the numbers do not reconcile very well, which likely stems from an underestimation of CapEx and/or AISC. Needless to say, Reptile is a Project without a PEA, so many assumptions were made in an effort to complete this valuation series. TAC15 & TAC10 are discrete proprietary price-value points at which an acquirer might consider Forsys Metals. 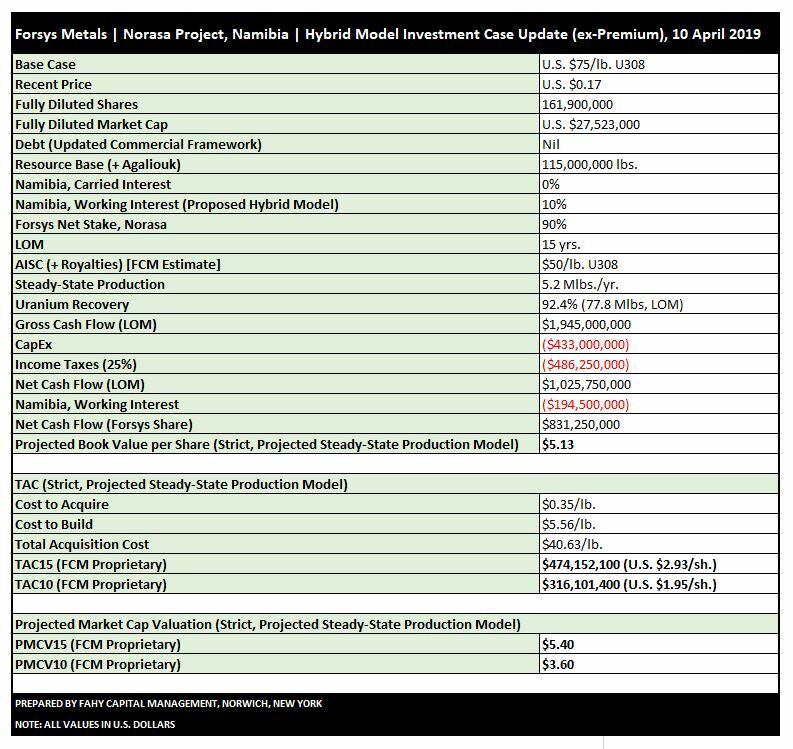 PMCV15 & PMCV10 are proprietary price-value point models that are supplementary to Projected Book Value per Share. If there are broad discrepancies between PMCV Variants & Projected Book, it typically signals erroneous bankable data or miscalculations on the part of FCM. In the case of Forsys Metals, the numbers reconcile well. As a result of a major de-risking event (Updated Commercial Framework), our investment target has been boosted by 85%, from U.S. $2.02/sh. to U.S. $3.73/sh. 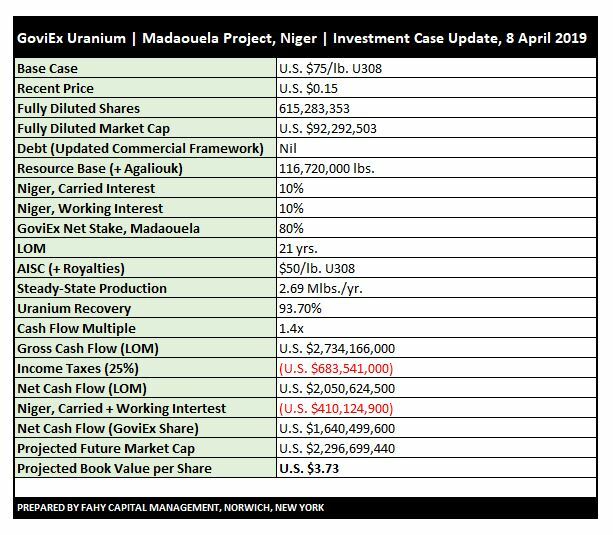 There are mounting indications that the generally accepted high probability of continued losses in the uranium sector has been priced in. Which is to say, the medium- and long-term expected value for staunch bears is now negative, while the medium- and long-term expected value for long-suffering bulls is now positive, although the curia’s perceived probability of gains remains low. The bears have been correct for a long time although the frequency of their correctness and magnitude of wins have declined, with a handful of exceptions. GoviEx and Fission are two examples of names that may enjoy upside returns of a magnitude greater than those of peers, as shorts have been more frequently correct though concomitant returns have been somewhat diminished. This is a tell-tale sign of wanton complacency in the aforementioned names. I want to own names like these whose returns are potentially a full order of magnitude greater than their peers as a result of outcomes that fly in the face of higher probability, albeit moderately-to-extremely priced-in, outcomes. 90% and 95% discounts respectively to spot gold. 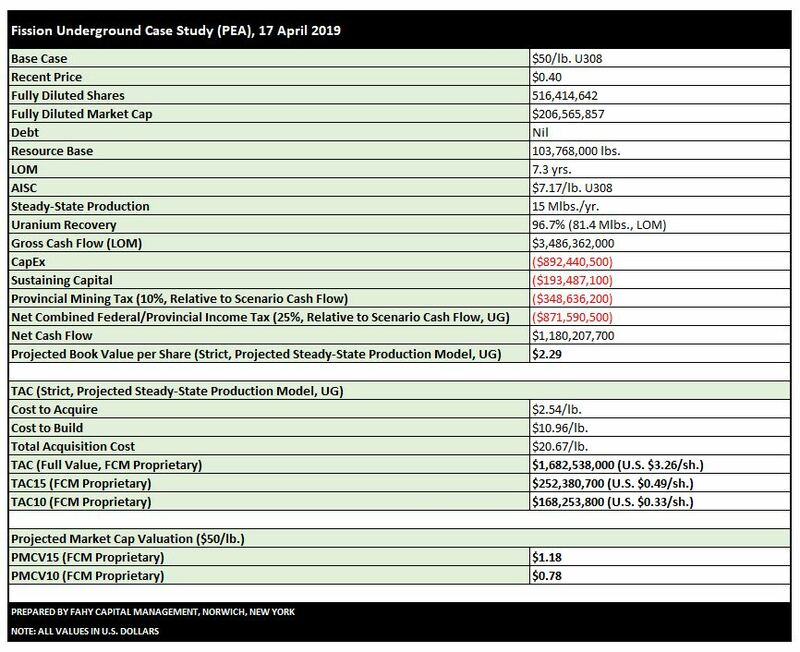 The valuation of Pure Gold’s Resources (Inclusive of Reserves) is still fairly low (U.S. $62/oz). At higher gold prices ($1,400+), considerable appreciation of value is possible. 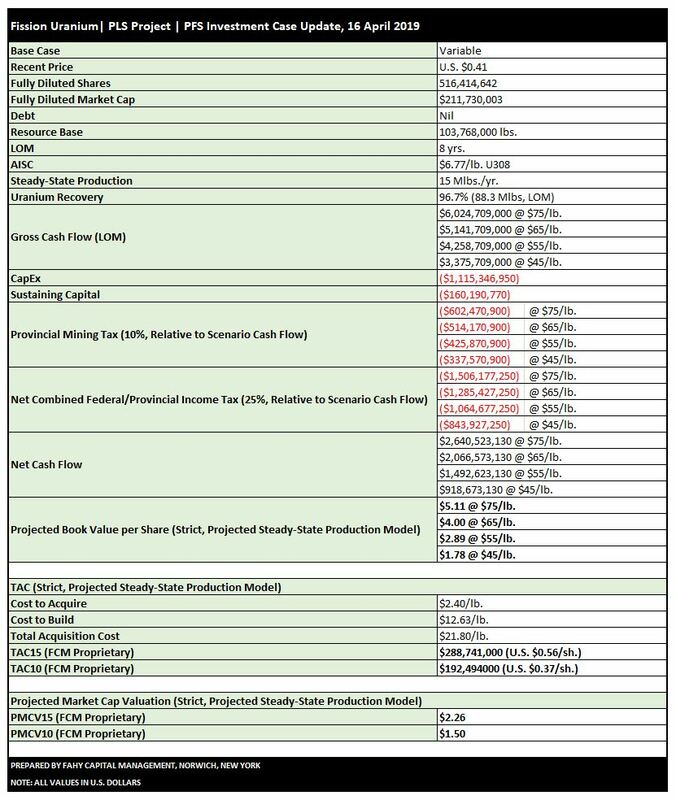 Were there fewer shares or more ounces, Pure Gold would be valued higher, but keep in mind the spectacular grade of Madsen, as well as the relative unimportance of this metric. The Market Cap is valued at ~5% of the the value of the resources in the ground. This is low and bodes well for Pure Gold’s Market Cap growth. Projected Book Value per Share = U.S. $2.04/sh. TAC (Reserves) = U.S. $985,000,000 U.S. $3.33/sh. TAC (Indicated) = U.S. $1,819,309,600 U.S. $6.15/sh. TAC15 (Indicated) = U.S. $272,896,440 or U.S. $0.92/sh. Volume may not be everyone’s enemy. It proved to be mine, however. I have come to believe that drug-free powerlifters must lift differently, with an elevated sense of humility and a commitment to heavy, progressive poundages, core lifts, low reps, brief workouts, rest, realistic goals, and finally, enough calories to support growth. The drug-free powerlifter will break down faster than his enhanced counterpart; one simply is not able to assimilate protein as efficiently as one who is enhanced. But I don’t subscribe to the belief that the drug-free powerlifter cannot make the same spectacular gains as the enhanced powerlifter. Those gains may simply take longer to achieve. To the drug-free powerlifter, rest, recovery and a commitment to regular, calorie-dense feedings are all-important. The drug-free powerlifter must be humble and a commitment to realistic goals will ensure that one’s humility is not prematurely slayed by impatience. I think the addition of 2.5-5 lbs to each core lift per week is not only realistic but attainable. Plateaus will come and they must not be met with discouragement; they must be embraced. The plateau isn’t the point at which one’s regimen should be altered, but the point at which each lift is met with additional vigor and patience. Why? The plateau is the point at which one’s body is preparing to grow and potentiate the next landmark lift. It will come. Sooner, probably, than you think. It is the plateau at which I have witnessed my body grow the fastest. It is also the point at which, especially for the drug-free powerlifter, to reduce sets and reps, while ensuring that maximal effort remains devoted to each core lift. Why reduce sets and reps? If your poundages have been increasing, so has the intensity of your lifts. Your body has come under considerably more stress over a shorter period of time than when you first began, when weights were relatively light and neural adaptations came quickly. Reduce the number of warm-up reps at lighter poundages in order to preserve power for maximal lifts at target weights. If you’ve hit your goal for your workout, swallow your pride, quit and re-rack your weights. Go home, eat and rest. Otherwise, you will be making inroads into recovery potential and increase the odds of injury. If I lifted 370 lbs last week and was able to add 5 lbs this week, I WILL grow stronger. As a drug-free lifter, muscle may not appear immediately, but it WILL come, given adequate rest and caloric intake. If I were to plateau at 375 lbs for an extended period, for instance, I would make an attempt to break through that plateau by eliminating the set of 3 x 365 in order to preserve power for maximal lifts at target weights. A mere breakthrough of between 2.5-5 lbs following a short plateau is often enough to both psychologically and bodily propel one to one’s next PR. Over time, one finds how much is in one’s personal fuel tank, on average, per session. Sip through reserves during warm-up sets; leave the vast majority of fuel for your maximal lifts then get the hell out of the gym and refuel. What did my last deadlift workout look like? On both squat and deadlift day, I also do one of two pressing activities: seated presses with a narrow grip, or landmine presses. Due to surfing injuries 20 years ago, I do not perform traditional bench presses, which is not to say that I won’t develop sufficient strength to eventually return to the bench with a spotter that may assist with liftoff in order to avoid rotator cuff pain. In fact, I am certain this day will soon come. I can’t imagine never knowing of what one is truly capable under one’s own power, backed by Faith. I cannot imagine not knowing where one’s own grit ends and performance enhancement drugs begin. We are capable of dramatically more than we think. Impatience is our worst enemy. To be drug-free is to be intellectually honest. Were we all drug-free powerlifters, global records would unquestionably be a little lower, but damn, we’d certainly know who possessed true genetic mettle.